Planter with Cupid and Two Hearts Discounts Apply ! 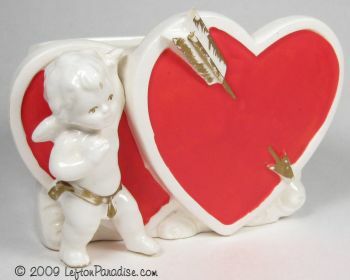 A sweet little planter with a cupid and two hearts. It has really lovely crazing patterns in the glaze. The planter is marked 2995 and has a Lefton sticker (1963-1985).